This food truck is absolutely wonderful. Bulgogi on Bibimbob is superb. They serve their food very quickly and I have eaten a lot of Korean Bulgogi in DC area including the other Korean food trucks and yet, this is the best one so far. Anyone who has tried Bulgogi will love theirs. I wanted to like this truck - the grandfather and son (?) seem quite nice, and I love Korean food. But the two dishes I've ordered have been subpar. One was over-sauced and gloopy. And the meat in the Bi Bim Bap was very fatty - so much that I couldn't eat most of it. If the fat had been trimmed off, the dish would have been much better. 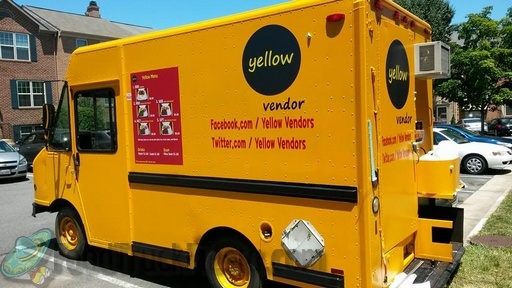 Overall, this is no match for the "other" yellow Korean food truck. This is my favorite food truck. Everything they have is good, especially the Kimchi (If you like Kimchi). Their spicy isn't nearly has "hot" as it use to be, but that's a plus for me. I actually walk from Chinatown to Metro Center to go to this truck. I've been eating from the owners (Andy and him Mom) since they had their Yellow Cart. 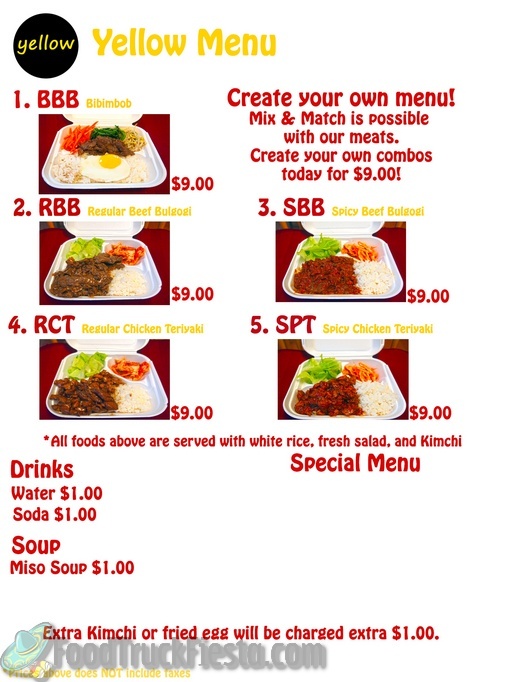 Yellow Vendor serves Bulgogi, a Korean dish that usually consists of marinated barbecued beef.